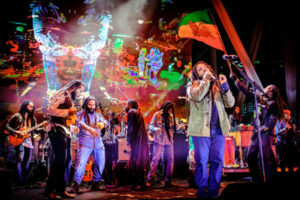 One of the rare times the Marley brother get together on stage you do not want to miss this star-studded performance. The Marley Brothers; Ziggy, Stephen, Damian, Ky-Mani and Julian along with Busta Rhymes, Davido, Sean Paul, Kes the Band, Chi Ching Ching, Protoje, Walshy Fire (of Major Lazer) Third World, Koffee and a special guest appearance by Farruko, and Pitbull. Will give on-lookers a show of a lifetime. This is a show that marijuana/kaya/cannabis/hemp, Mary Jane, users don’t want to miss. While the education is delivered throughout the show, users of the substance freely enjoy the benefits of smoking without repercussions. However, one of the main reasons people attend is to see the show. The highly anticipated show on April 20th will no doubt have audience members their feet dancing to the sweet sounds of reggae music thought the day and enjoying great food. There is still time to get you tickets don’t be the only one is south Florida not attending please go to www.kayafestivals.com to get your tickets.